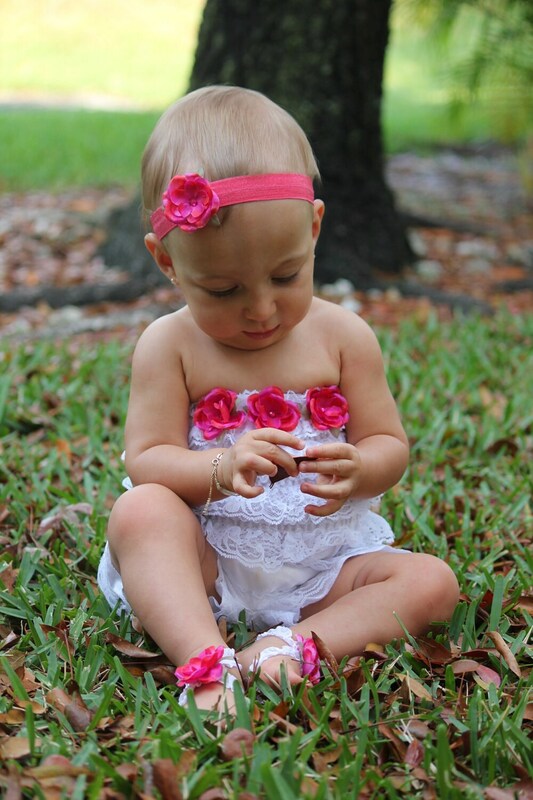 White Decorated Lace Romper Set with Matching Headband and Barefoot Sandals, Birthday Outfit, First Birthday, Toddler, by Lil Miss Sweet Pea. Also available with straps, please choose with or without straps on checkout. 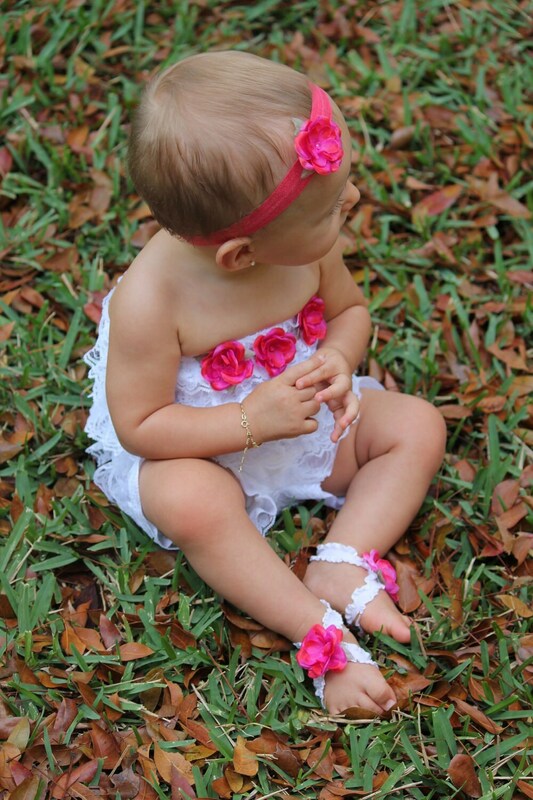 This romper will fit the average 9-12 month old. 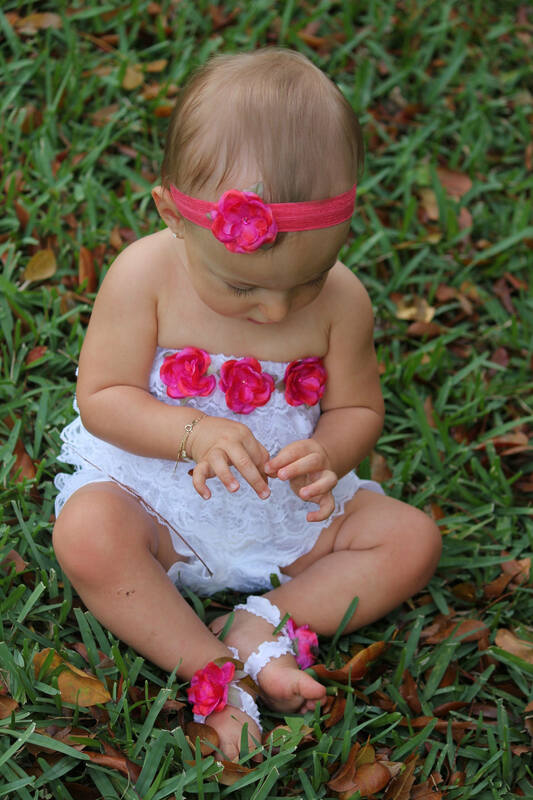 Set includes: Headband, Romper and Barefoot Sandals. 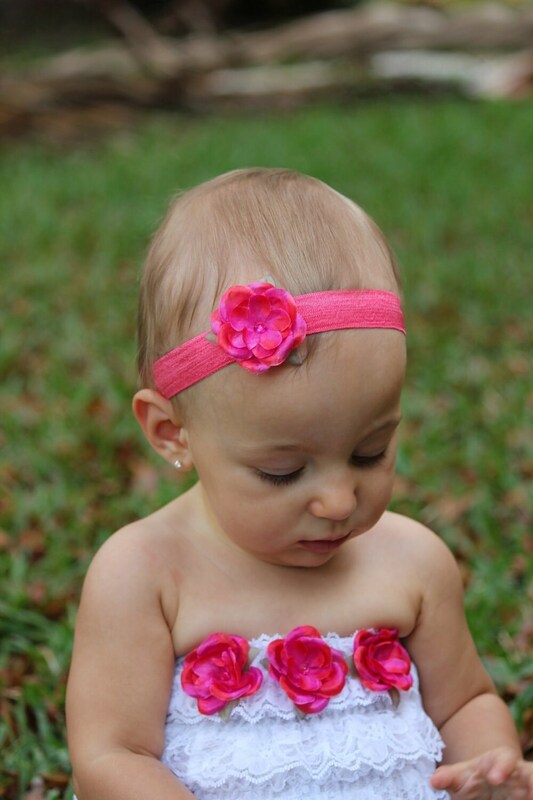 Romper withstraps can be tucked in for using as strapless as shown.